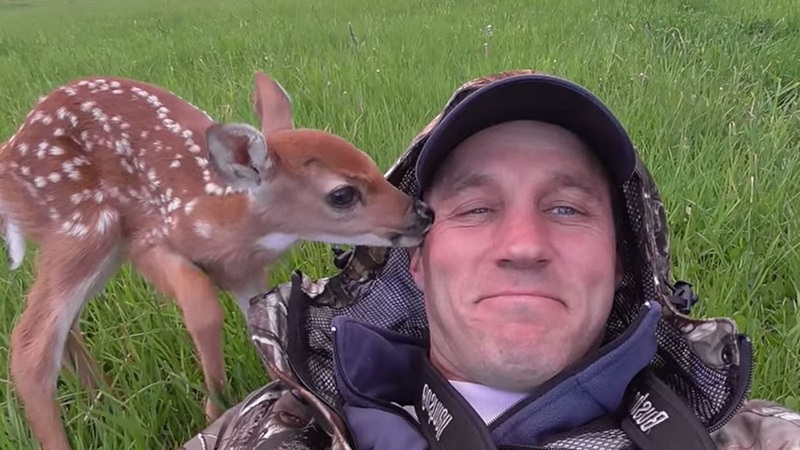 Darius Sasnauskas, while outside on his property, got to see one of nature's most cherishable moments: the first moments of a young animal's life. A doe gave birth to two baby deer in his backyard near Yellowstone National Park, but one of them was injured and left behind by her mother and sibling. “With so many predators around, she had no chance to survive on her own,” Darius wrote in the caption of his video. “I do not support keeping wild animals as pets, but this was [a] special situation.